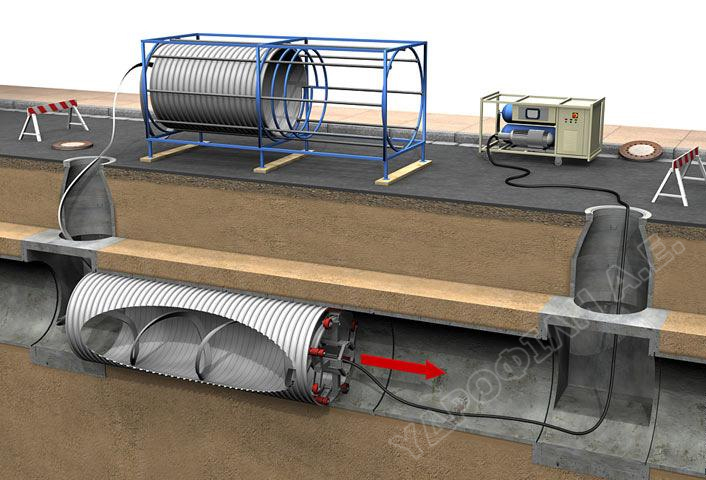 With the SPR method you can achieve fast, efficient and economical pipe recovery 100% without digging. 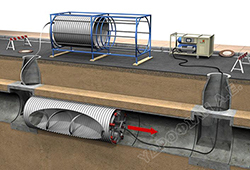 A special winding machine, adapted to a pipe of any size and shape enters through an old pipeline and constructs a new one with the help of the winding tube. Then the system becomes solid and ready to use.